Last summer, Feng Li, as the winner of Jimei x Arles Discovery Award in 2017, was invited to exhibit his series White Night at Rencontres d’Arles. 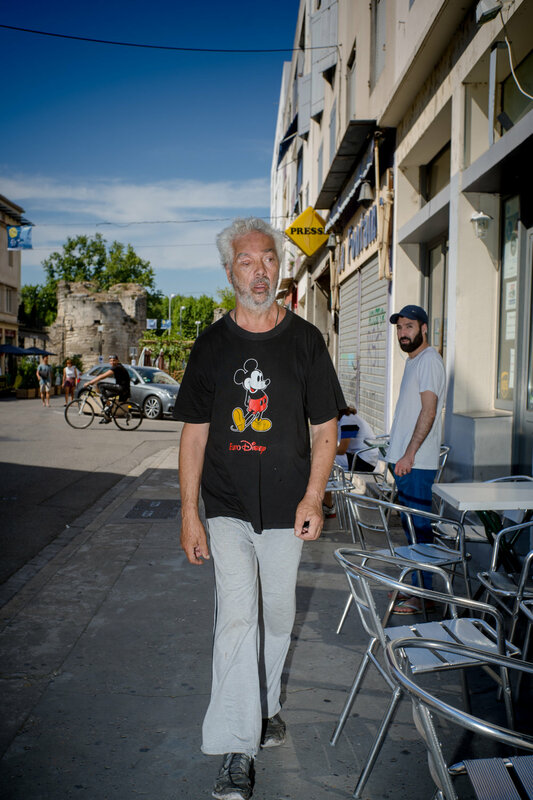 The idea of a Carte Blanche came about when curator Thomas Sauvin, who nominated Feng Li for the Jimei x Arles Discovery Award in 2017, suggested an additional project to Sam Stourdzé, the director of Rencontres d’Arles, consisting of inviting Feng Li to do what he does best: wander the streets and shoot. The resulting White Night in Arles was shown on the Instagram account of Rencontres d’Arles and in an on-the-spot exhibit displaying all the things Feng Li came across while in Arles. The Chinese photographer debarked a few days prior to the official opening of Les Rencontres, preparing both his White Night show and an in situ exhibition where the product of his Carte Blanche was shown as a daily report on Arles. For ten days, Feng Li’s intuitive and swift style of shooting was witness to the life of the festival and its bustling opening week, but also offered up random urban sketches involving a variety of subjects ranging from horses and Arlesian folk outfits, to stray cats and all sorts of haircuts.